Add whole numbers with regrouping. Add decimals with the same number of digits. Add decimals with different numbers of digits. Explain what is happening when you "carry" a digit from one column to another during column addition. This activity gives students a chance to sharpen their estimation skills while solving story problems, tw... (more)o outcomes stressed in the grade 4 curriculum. Using this Gizmo allows students to confirm their estimation. 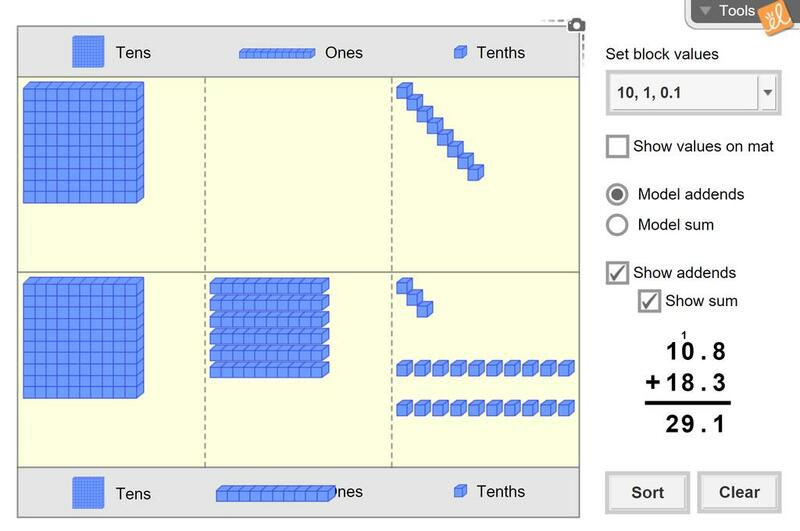 Seeing the blocks manipulated to create an answer should clarify thought processes. Hearing students discuss options as they worked was delightful. This is a great visual for students learning to add decimals. Graphics are great easier reading for lower leveled students.